Our starting program enables you to really try our program and see for yourself what the real benefits of training at our great facility are – Our priority is in teaching great martial arts in Chesterfield, Derbyshire and covering Sheffield, South Yorkshire and the Peak District. Marsden Martial Arts in Chesterfield teach Brazilian Jiu Jitsu, Karate, Judo, Muay Thai Boxing, MMA and Kickboxing with individual classes for men, women and children.Our martial arts school in Chesterfield is a safe and clean environment treating its students with the respect they deserve.We know that martial arts can benefit everyone and that is why we pride ourselves on our reputation and expect nothing but the best from our professional instructors. As well as having individual martial arts classes for men, women and children, we provide a safe and fun environment. With a “try before you buy” approach, we know that you will enjoy your initial session with us and want to come back for more. 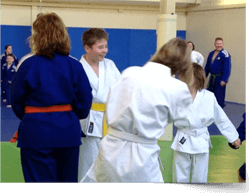 We offer the best martial arts training in the area and pride ourselves in the friendliness of our club. The Beginners Martial Arts Class is enrolling now – we know that the first step is always the hardest, so we want to make this as easy for you as possible, so either call us for a chat on 07702 801695 or click the button – and get your Free Martial Arts Trial with one of the three senior instructors. We look forward to hearing from you and, most of all, look forward to meeting with you and training alongside you. Very friendly, very inspirational! 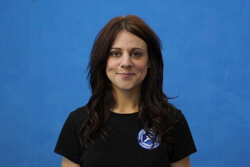 Joining marsden martial arts is one of the best decisions I’ve made!